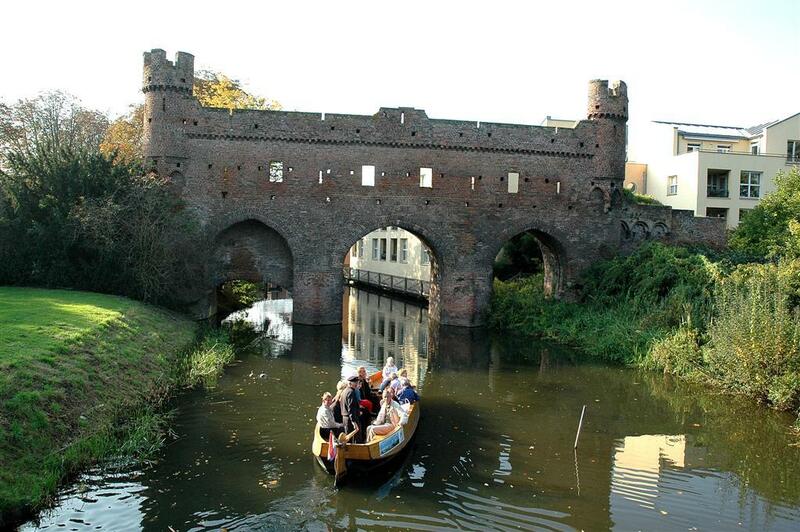 Zutphen was a member of the Hanseatic League as far back as the 13th century. Although Zutphen is not large, it does leave a great impression, and not only because of its particularly attractive looks. The IJssel promenade offers the ideal opportunity to relax and enjoy the view across the IJssel river. Art lovers and fans of history will feel very much at home here. 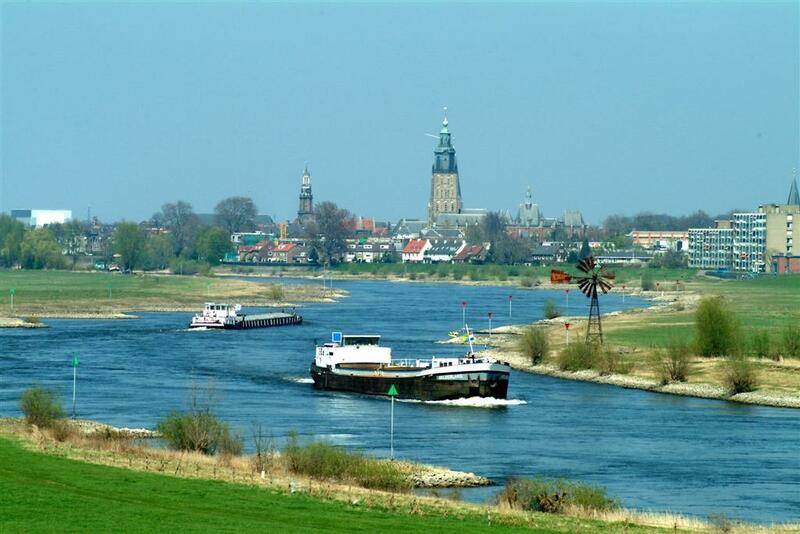 Anyone approaching Zutphen will be moved by its beautiful location on the water. Zutphen, the city with the striking towers and stately merchant houses; Curiosity about what lies behind it is already roused from a distance. 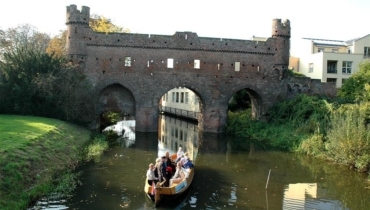 Thus it is not surprising that Zutphen is visited, every year in summer as well as in winter, by hundreds of thousands of residents from the region and by tourists. Events, markets, a comprehensive selection of shops, restaurants, pubs, musea, and galleries, serve as a true magnet for the region. Zutphen is a Dutch city located in the Province of Gelderland, with approximately 40,000 inhabitants (2014). The city has two museums, the Stedelijk Museum, with its historical collections and the Museum Henriette Polak with its collection of modern art. During a tour of the city, your eye will undoubtedly be drawn to the numerous attractive, historical buildings. The Municipality of Zutphen comprises the city itself and the village of Warnsveld, located 2 kilometres to the east, which has developed into a suburb of Zutphen. At a distance of almost 30 kilometres northeast of Arnhem, the river Berkel meets the river IJssel at this point, and since 1936 also the Twente Canal. Zutphen was already founded before the arrival of the Romans. An originally Frankish settlement developed in the Carolingian and Ottonian dynasties into the administrative centre for the Duchy of Hamaland. Shortly after 882, when the settlement was plundered by the Vikings during their raids of the entire Rhineland, a circular fortress was built encompassing some 10 hectares of land. In the mid-11th century, on the orders of the German Emperor Henry III, a 53 metre-long royal palace was built on the Gravenhof. The governor of the city, in office since 1046, Imperial Bishop Bernold of Utrecht, then founded and built a new chapel church, predecessor of todays St. Walburgis church. Even in the 12th century, the city enjoyed considerable importance (with its own Mint), and competed for trade with the city of Deventer, just 15 kilometres downstream on the IJssel river. The settlement received town rights around 1195 from Count Otto I of Guelders and Zutphen (1182-1207). This entitled the city to its own administrative powers, it own courts, annual and weekly markets, customs freedoms and numerous other privileges. Because of its favourable position on the banks of the IJssel, and because of its trading privileges, the city attracted numerous merchants, above all from the Rhineland. The city enjoyed a period of rapid growth in the 13th century. From the 13th century onwards, Zutphen was indeed a member of the Hanseatic League, trading with England, Flanders, Denmark and the Baltic cities. 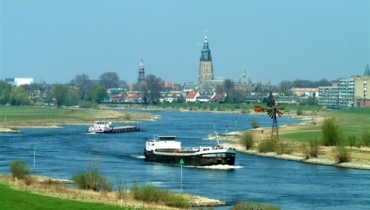 During the Middle Ages, Zutphen enjoyed the status of capital of the County of Zutphen (between the 9th and 11th century, the county by the river IJssel was known as Iselgo or Islo, and from the 13th century onwards as the County of Zutphen). From 1339 onwards, it belonged to the Grand Duchy of Guelders. Zutphen suffered badly during the 80-years war. On 10 June 1572, Zutphen which had until then been broadly Catholic was taken by the protestants, who immediately committed an iconoclasm. Just five months later, on 8 November, Zutphen was retaken for the Catholic Spanish by the troops of the Duke of Alba. This conquest was accompanied by a true massacre, during which some 800 residents of Zutphen were killed. Finally in 1591, Maurice, Prince of Orange regained Zutphen for the Dutch. Prince Maurice started work on a major project, the aim of which was to provide Zutphen with the latest defensive works according to the traditional Dutch system. Zutphens status as a walled city also had a demographic influence. In around 1670, Zutphen had around 5000 citizens and a further 2500 garrison soldiers. Until the dismantling of the fortifications in 1874, soldiers remained a regular feature of life in Zutphen. Since that time, Zutphen has served as a provincial town and gateway to the Dutch border region the Achterhoek. Industry started to play a meaningful role in the 19th century, when railway links were established between Zutphen and Amsterdam and Arnhem. During World War Two, the bridges over the IJssel river were the scenes of heavy fighting in 1940 and 1945. The city centre also suffered considerable damage. Over the past few decades, a renovation programme has led to the establishment of an extensive area of new building to the south of the city centre. In the framework of the Dutch municipal reform programme, the Municipality of Warnsveld became part of the Municipality of Zutphen on 1 January 2005. Zutphen railway station lies on the intercity route from Zwolle to Nijmegen via Deventer and Arnhem. There are also local trains to Lochem, Hengelo, Winterswijk and Apeldoorn. Zutphen has two yacht marinas, the Gelrehaven and the Marshaven. There is also a historical dock area, the Houthaven, that houses various historical vessels, and a series of moorings for houseboats. Zutphen plays an important role in the region. 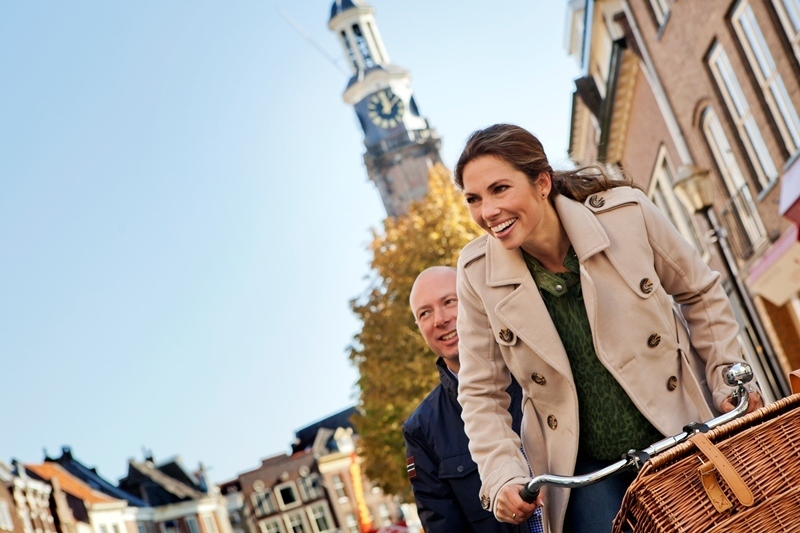 Zutphen is renowned for its remarkably large and varied selection of (specialist) shops and the markets on Thursday and Saturday are much-visited. The old town centre invites visitors for a peaceful stroll but for those looking for more activity there is wide range of sports fields and facilities. There are numerous opportunities for water sport enthusiasts. At the end of the day, why not visit the attractive theatre, a cinema or one of the many bars and restaurants? In the immediate vicinity of the town there are numerous centres for education and training, and Zutphen is the home to the District Court. Zutphen also has its own hospital and a large psychiatric clinic. Zutphen offers a large industrial estate by the river, to the west of the town centre, with its own modern inland shipping port. The most important industrial sectors represented in the area are printing and publishing, and the metal industry. 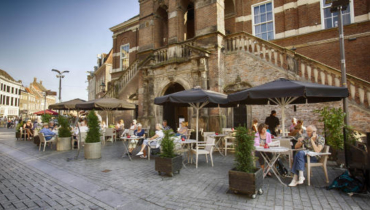 The medieval city centre of the Hanseatic city of Zutphen, with a skyline featuring several towers, is extremely well preserved and houses numerous historical buildings, including the large medieval Church of St. Walburgis. The collection of historical books in the chapter house (Librije) in the church contains books from the period 1450 to 1600; the Berkel Gate (around 1320) the ruins of the Berkel Gate span the river of the same name in the town park; Drogenaps Tower: (1444); Bourgonje Tower: (1457); Wijnhuis Tower: (16181642); Dominican Church: (1300); New City Church: (12501530) and some 300 buildings dating from the 13th to 16th centuries.Thousands of tourists visit the rustic and well-preserved medieval city centre, every year, also attracted by major events such as the national Bock Beer Day, the market in May, National Heritage Day and the Summer Festival. 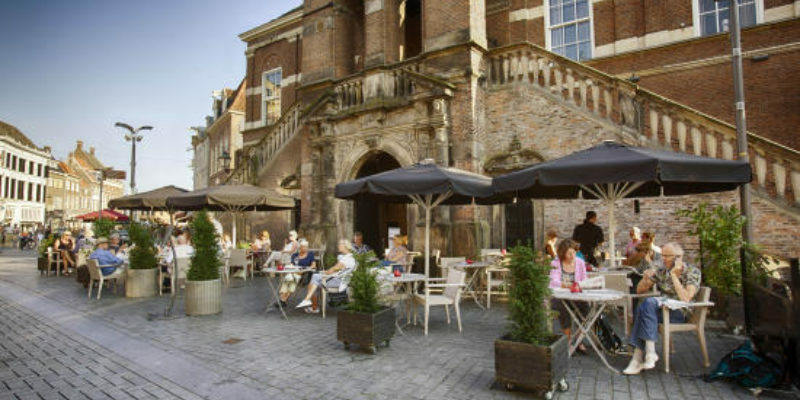 Thanks to the remarkable combination of a peaceful historical centre and city flair, Zutphen is more than worth a visit.